The above picture was taken in complete darkness, except for the light of this glass painting lamp. No processing involved, other than the watermarking and minor cropping etc. in photoshop. This is my third post for 2013 June Photo A Day Challenge. Link to the previous post: "Photo A Day - A Moment"
It is indeed very beautiful. Good one for the prompt. I kept thinking about only food ha ha! Some photographs sooth your heart. And it is one of them. Truly gorgeous. Great shot! 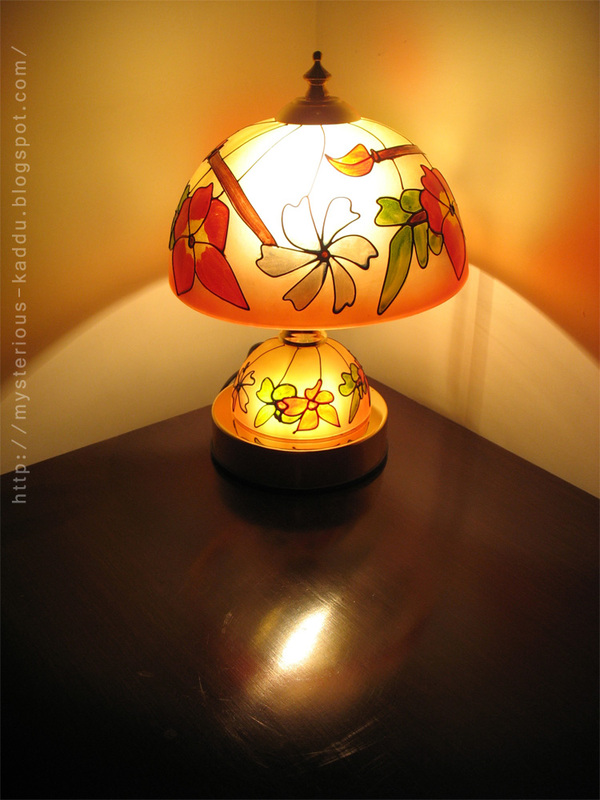 I love lamps like this - so lovely!